In another betrayal of the wobbly “Stop Snitching” credo, a well-known rap music executive is cooperating with federal prosecutors and DEA agents as part of a plea deal that includes the dropping of serious felony counts charging him with participating in a cross-country cocaine distribution ring. During an appearance last week in U.S. District Court in Brooklyn, Tony Martin, 30, pleaded guilty to a single money laundering count. He was named in a June 30 superseding indictment that included four other felony charges, all of which dealt with his role in a cocaine operation allegedly headed by rap music manager James Rosemond. Two sources familiar with details of the federal investigation told TSG that Martin, apparently seeking leniency, recently decided to start snitching. In return for his cooperation, Martin will not be prosecuted on the quartet of narcotics counts. Seen above in a video still, Martin--who is free on a $100,000 bond signed by his mother--is scheduled to be sentenced in early-January. Martin has worked as a vice president for Rosemond’s Czar Entertainment for about a decade. Working from Czar’s New York office, he has helped manage artists like R&B singer Mario Winans and rapper The Game. 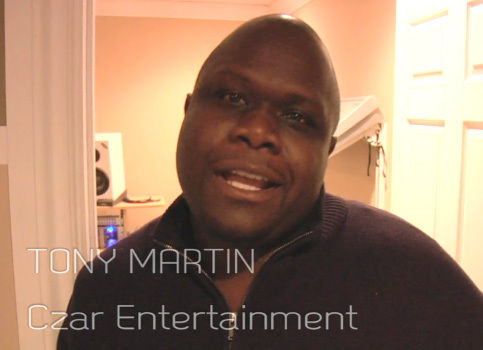 Prior to his employment with Rosemond, Martin worked at Tommy Boy Records and Universal Records.